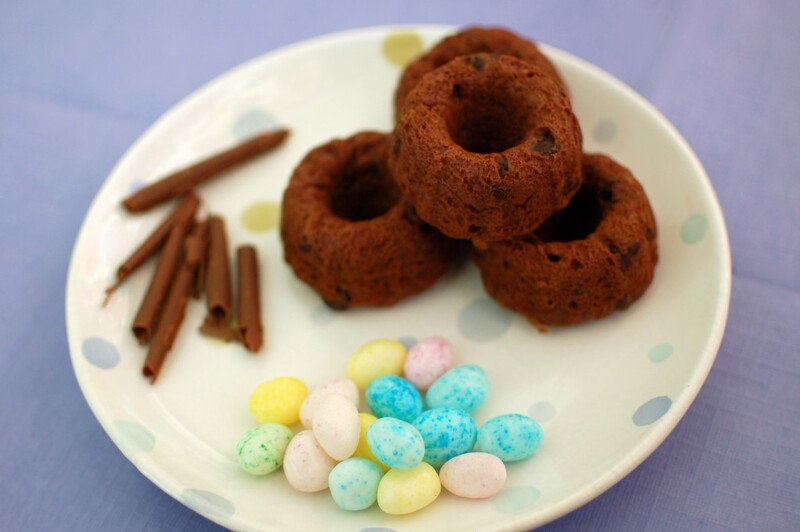 We love, love, love our chocolate bundt cake recipe. As I’ve said before, it’s a magical one bowl concoction that is easy to throw together, serves a ton and is crazy delicious. I like to undercook it just a bit, so the inside is incredibly moist. Yum. Usually, I find the fact that it doesn’t require frosting to be an advantage of the recipe. 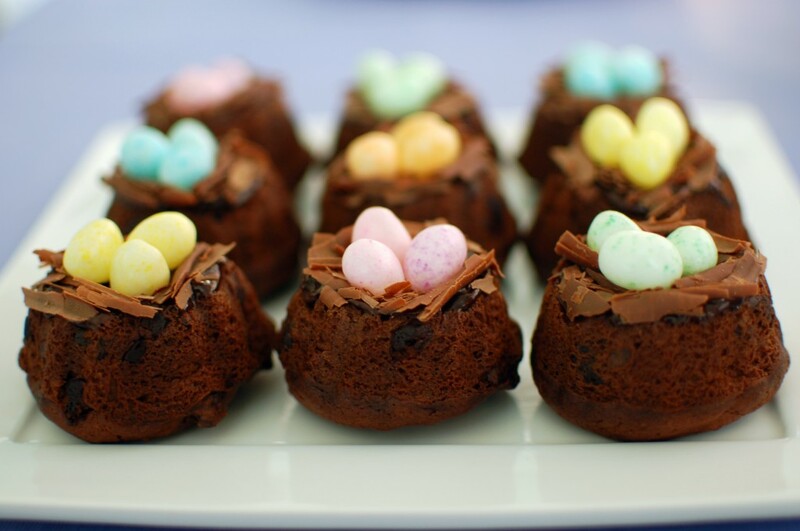 But sometimes you need something cute and festive, and Easter is one of those times. Armed with a bag of adorable pastel jelly beans, I crossed my fingers and prayed that the recipe would work in my mini fluted pan. I hoped the little cakes would naturally look like tiny nests, and I’m happy to say that (with the help of some chocolate shavings) they did! 1. Pull a knife across the back of your chocolate bar to make chocolate shavings. 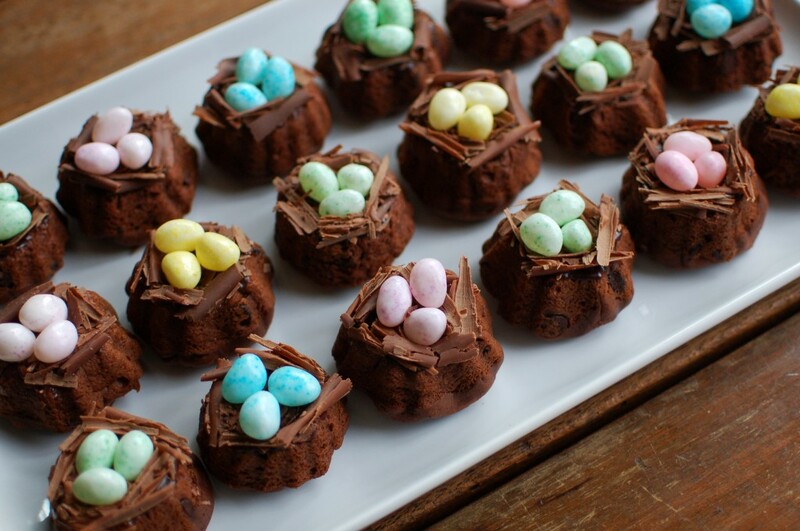 More details on my last chocolate nest dessert. These nests are pretty small, so the shavings can be tiny. 2. Make a bit of ganache: Add a handful of chocolate chips and a splash of cream to a glass bowl; stir and microwave in 30 second bursts until smooth. 3. The ganache acts as glue, so use the back of a spoon to spread a little bit over a cake. 4. Carefully press chocolate shavings in a circle on top of the cake. Angle some toward the middle, as well; you need to fill the hole a bit, so the candy doesn’t fall straight in. 5. 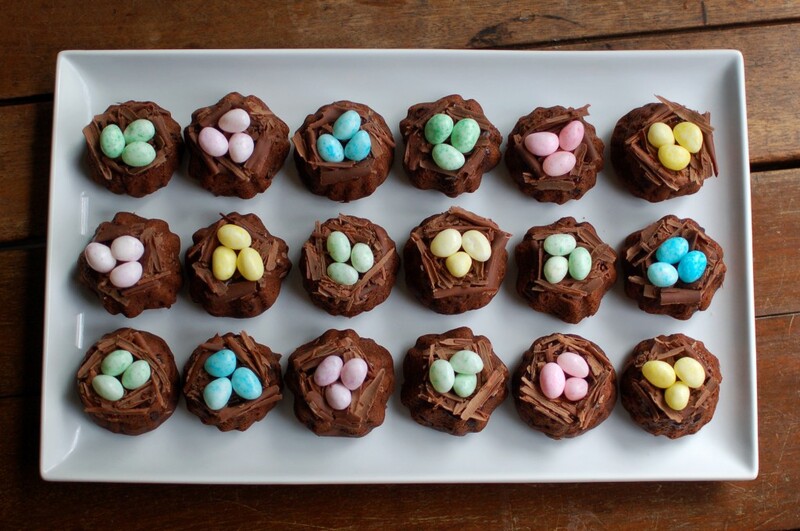 Add candy eggs on top of the nest, using a bit more ganache if needed. 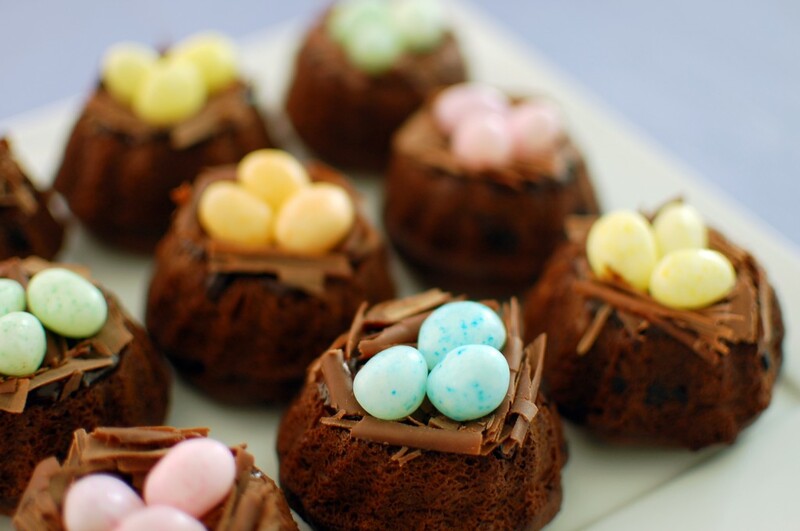 Cakes keep well in an airtight container for several days — if you make enough for them to stick around!